We designed this bulletproof vest also to be a tactical vest. Usually bulletproof vest do not have the ability to carry combat gear. This vest has MOLLE system to allow this, and ballistic groin attachment that can be removed and attached to the vest in time of need. Almost every soldier uses body armor, the most common body armor gear is bulletproof vest. 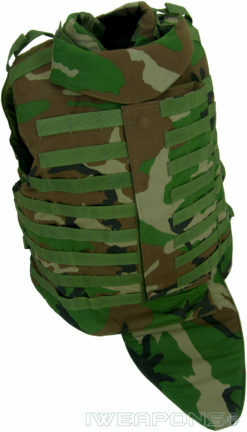 This Ranger military bulletproof vest comes with optional ballistic groin protection that can be removed from the vest. This ballistic vest also has front and rear neck protection. To fit the army needs this bullet proof vest comes in woodland camouflage. 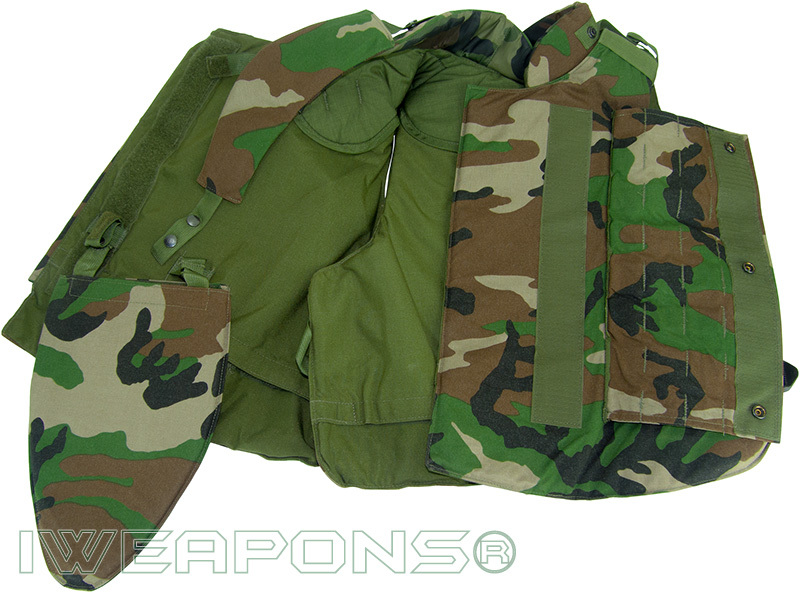 This vest has tactical MOLLE system in front and back for attaching combat field gear. Soldiers required higher ballistic protection than others, although this bulletproof vest made from level IIIA soft armor, it has front and back pockets for 10x12inch / 25x30cm armor plates. 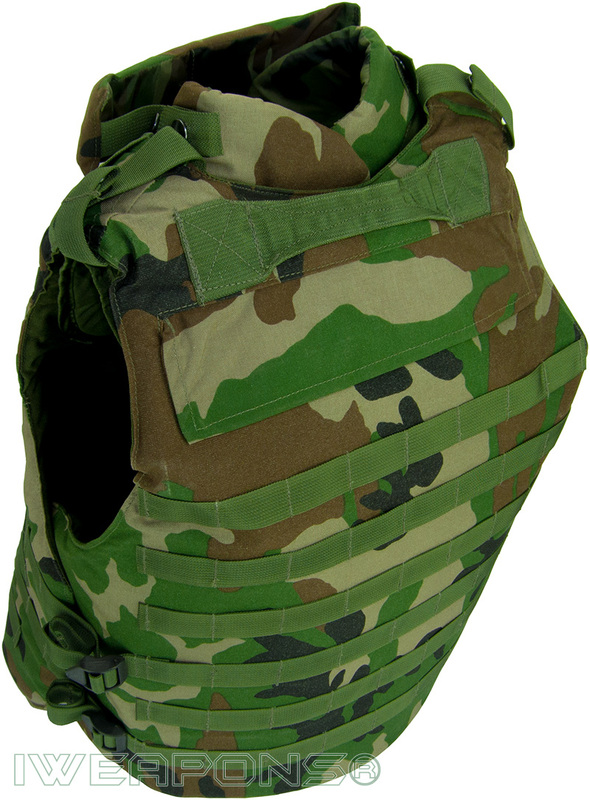 Military uses same body armor gear for all missions that is why this bulletproof vest can be used for many different operations because it is lightweight and offers wide ballistic protection area, and universal MOLLE system to provide ability for the troops to put the specific needed gear for the mission.